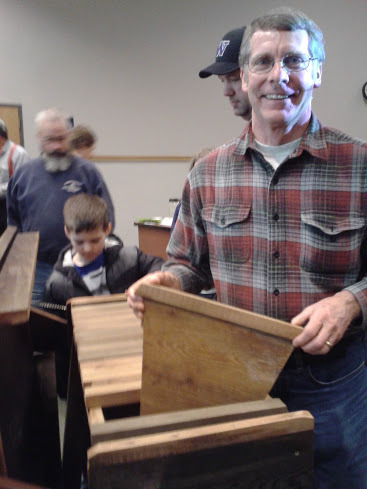 Below, LCBA Vice President, Dave Gaston, presented a very informative talk on Top Bar Hives at our January 9, 2013 meeting. Scroll on down to see the unfolding saga of his hive: images at left are from our meeting, images below logo, right column, are from Dave's photographic chronicle. 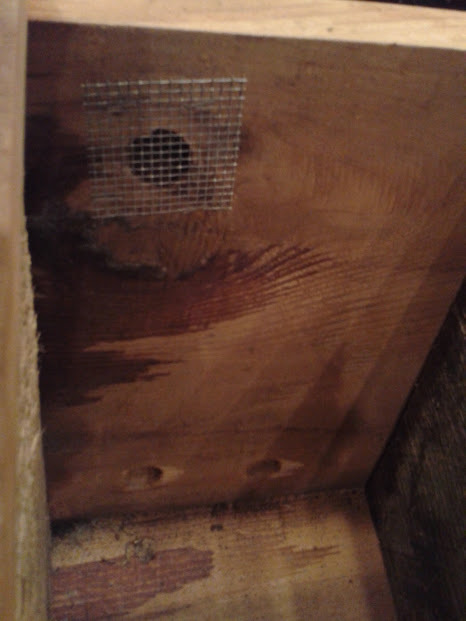 Below, a sample hole in side of hive: these can be left open for bees to exit and enter, as well as to ventilate, and they can be screened or plugged as conditions suggest. 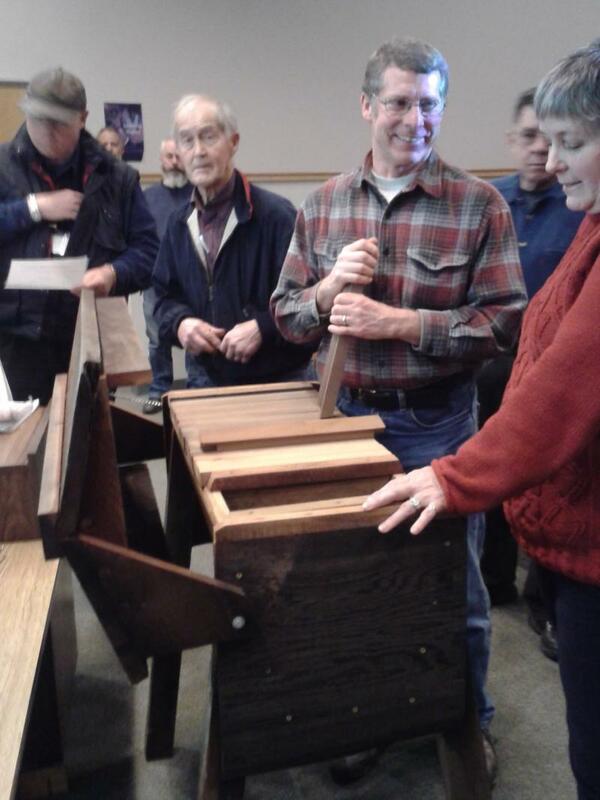 Click on our Feb 2013 newsletter for details. 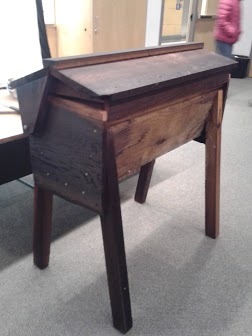 Below: Dave Gaston's photographic chronicle of the growth of his top bar hive, starting in June 2012. Thanks to Dave for sharing these! Above, the "observation window" feature - top bar hives with this window enable beekeepers to manage the hive less intrusively, as noted in Dave's talk. 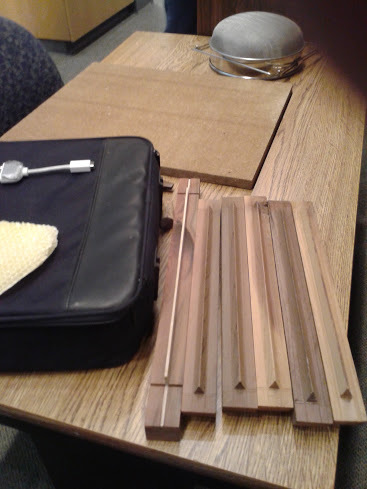 Above, the top bars inserted into the hive. The bar placed on top for this photo lets viewers see what an individual bar looks like. Above, holes that permit flight and ventilation can be left open or can be plugged. Above, rubbing scented wax on the top bars seems to encourage the girls to build. Week 1: the bees take quickly to building down from the first top bar frame, above. Note not only the growth evidenced in the above shot, but the numbers noted on the top bars to facilitate record keeping. Above, note brood pattern at the end of week 1! The series of 14 shots below show the top bar frames after one month of growth ~ and vigorous work by Dave's bees!